The total interest you will pay on these debts is 0 paid over 0 years. Our credit card calculator tool helps you understand the total interest paid on your debt and how your debt will amortize (be paid off) over time. First we calculate the payoff date for each of your respective loans individually, taking into account the loan amount, interest rate, and payment amount. Then we add up the monthly payment for each of the loans to determine how much you will pay in total each month. The amortization of the loans over time is calculated by deducting the amount you are paying towards the principal each month from your loan balances. The principal portion of the monthly payments will go down to $0 by the end of each loan term. So you've got some credit card debt. Now what? How do you know which debts to pay off and when? It's complicated. Should you start with the debt that has the highest interest rate, or motivate yourself by paying of the smallest chunk of debt first? What about a balance transfer or a personal loan? The answer depends on your circumstance, but we've got the basics covered right here. As a credit card user, your best case scenario is to pay your bill in full and on time every month. 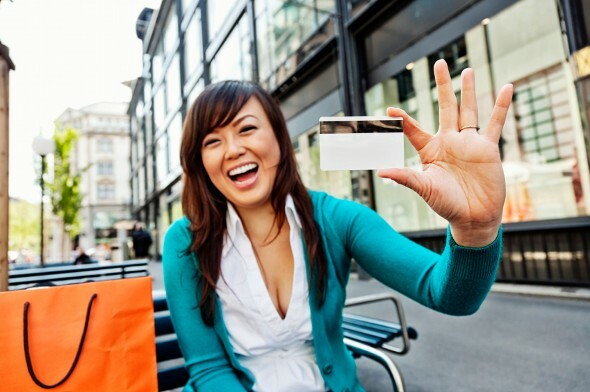 You won't have to pay any interest and you'll get the benefits that your credit card offers, like points, miles or cash back. Your credit score will be high and you'll be able to qualify for the best interest rates on a home mortgage. But that's the best case scenario. It doesn't always work out like that. A few big medical bills or a period of unemployment can be enough to put many people over the edge into credit card debt. Here's how credit card debt works. If you don't pay your credit card bill in full, you'll be charged interest. The listed interest rate for your credit card rate is known as the Annual Percentage Rate (APR). The lower your credit score, the higher the APR you'll likely be offered. The APR is the annual interest rate. The financing fee is what you pay for the privilege of using the credit card. It's equal to the interest you pay on your unpaid balance for that billing period. Credit cards generally give their customers a grace period, a time between the end of a billing period and the date payment is due. If you don't pay your balance in full by the end of the grace period, you'll be charged interest on your old balance and on new purchases. Your debt "revolves" from month to month. When you look at your credit card bill, you'll see both the full balance and a minimum payment. How do these minimum payments work and what happens if you only make the minimum payments? I'm glad you asked. 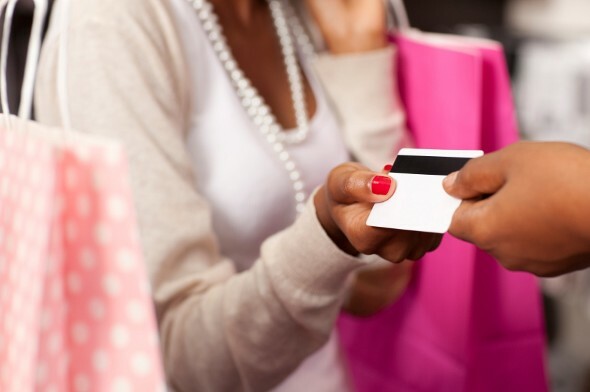 If you carry a balance on your credit card, your best bet would be to pay it off all at once, as quickly as possible. If you can't pay it off all at once, it's a good idea to pay as much as you can afford to pay. Credit card companies tell customers about the minimum payment as a guideline to avoid extra fees and increased interest rates. The problem is that just making the minimum payment extends your debt repayment timeline. It will take you longer to pay off your balance, and you'll pay more interest to the credit card company in the meantime. If your APR is particularly high, just making the minimum payment might actually drive you deeper into debt. Seriously. Too often people latch on to the idea of the minimum payment, assuming that it's calculated for their benefit. In fact, folks who carry credit card debt are better off paying as much they can afford, ignoring the suggested minimum payment. If you can't afford to pay off your credit card debt all at once but you still want to pay off your balance, what do you do? We've established that just making the minimum payment on all your cards isn't the ideal way to tackle debt. If you're ready to step up your debt repayment efforts, you can pay off the cards with the highest interest rate first or start with the cards that have the lowest balance. The process of paying down debt is known as amortization. There are different ways of going about it. One popular strategy called the Snowball Method works like this: You keep up with the minimum payments on all your cards and make extra payments on the card with the lowest balance. By focusing on paying off the card with the lowest balance first, you'll have the satisfaction of checking debts off your list more quickly. This can be a powerful motivator. Once you've paid off your first credit card, you can apply the money you were spending on credit card 1 to making payments on credit card 2 and so on. You'll have momentum to continue your debt repayment. Another option is to take on new debt to pay off old debt. This could be in the form of a personal loan or it could be a balance transfer to a new credit card. Taking on new loans carries risks, especially if you have a history of getting in over your head with debt. If you decide to explore this option, it's important to do your research. Look for balance transfers to cards offering 0% APR and low fees. If you seek the services of a credit counselor, try going to a non-profit. 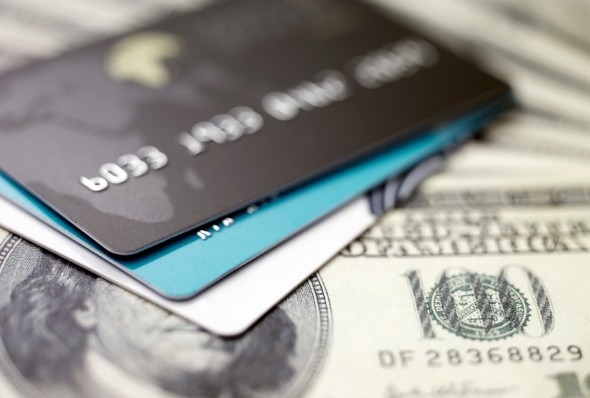 Paying off credit card debt isn't just a smart financial move. Research shows that carrying debt can be bad for our physical and mental health. Paying off your credit card debt will lower your stress levels significantly. Plus, the sooner you pay off your credit card debt, the sooner you can focus on saving for retirement and other financial goals. SmartAsset’s interactive map highlights the places across the country that have the lowest credit card debt. Zoom between states and the national map to see the counties with the lowest per capita credit card debt as a percentage of income and as a percentage of net worth. Methodology Our study aims to find the places in the United States with the least credit card debt. To do this we calculated the ratio of credit card debt to per capita income for every county. This number can serve as insight into whether people will be able to pay off that debt. Lastly, we indexed each factor and calculated an overall index by taking a weighted average of each of these indices. The credit card to income index was given a weight of one and the credit card to net wealth index was given a weight of two.